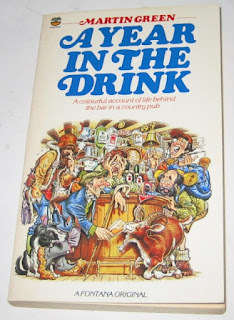 My recent visit to West Wales prompted me to dig out my copy of A Year in the Drink, a book written by Martin Green and published in 1982, which describes the author’s experiences of running a pub in a small Welsh market town. By coincidence, a few weeks later, Boak & Bailey posted about a book called We Ran a Cornish Pub which had fallen into their hands, and it seems that this is a niche literary genre of its own. Green always looked at least 10 years younger than his actual age, while his attitudes toward anything new in the world were those of a curmudgeonly dotard. His friends used to tease him about the way he would become old. He would be grumpy, always occupying the same seat in his local at the same times, criticising the young, sipping pint after pint, seldom laughing. “I can’t wait,” he replied. The book is set in the fictional Welsh market town of Llandampness, which is in fact is a thinly-veiled version of Llandeilo, on the River Towy about ten miles east of Carmarthen. In the book, his pub is called the Black Lion, but in fact I think it was actually the now-closed Three Tuns, which is listed in the 1980 Good Beer Guide as selling the same beers he said he’d sold. It is now the Olive Branch Delicatessen. Llandeilo is a rather slight little town, with a population of under 2,000. It has some attractive buildings, but isn’t really a tourist magnet. In the book, Green says the town had twelve pubs, whereas now I can only find five, plus a couple in the village of Ffairfach across the river, which he may or may not have included. And a boutique hotel! Green and his wife – Stella in the book, Judy in real life – take over the lease of the closed pub early in the year, and then do it up and open at the beginning of April. Given references to the forthcoming devolution referendum, I guess that the year in question is 1978. They quickly come across the tendency of the locals to order a “bitterlemontop”, which was the staple drink in that part of the world. They have to deal with a variety of local characters including The Major, Clem-Band-of-Hope, Myra the Lady of Disaster, Ewan the Poet and Mad Dai Plumber, and their biggest challenge is handling the influx of tepee-dwelling hippies when they come into town to collect their benefit cheques. They’re quite relieved when summer comes and they start to welcome some more polite and well-behaved tourists. They make friends with some of the other licensees in the town and form a common front against the local troublemakers. They also put on real ale, which only one other pub in the town served, in the form of Marston’s and Felinfoel, and attract the attention of the local CAMRA representatives, which gets the pub more widely known. Green praises CAMRA’s role in reviving interest in traditional beer, but says that from his experience in London he found some of them in person rather joyless and po-faced. The Owd Rodger certainly goes down well over the Christmas period! However, by the time of the summer holidays, Martin and Stella decide that the pub trade really isn’t for them, and start making plans to sell up, which they manage to achieve by early January. It seems to be a feature of these pub memoirs that the authors only stick at it for a year. The book is a good read, and contains plenty of insights into the pub trade at that time, particularly the relationship between licensees and customers. However, it’s never laugh-out-loud funny in the manner of James Herriot’s vet books, and indeed has a generally slightly wistful and melancholy feel reminiscent of John Moore’s Brensham Trilogy. A minor irritation is that several mysteries are left up in the air – for example, he mentions a pair of well-dressed chaps he calls Tom and Jerry who come into the pub and start buying everyone drinks, but never explains who they were or what they were doing. Llandampness is, to be honest, very much a backwater, and is described as somewhere you have to leave to make anything of your life, and where you come back to die. Drinking seems to be the principal entertainment of the local population. People wax lyrical about “community pubs” and regular customers, but in reality many pub regulars are somewhat sad individuals who have little else to do. 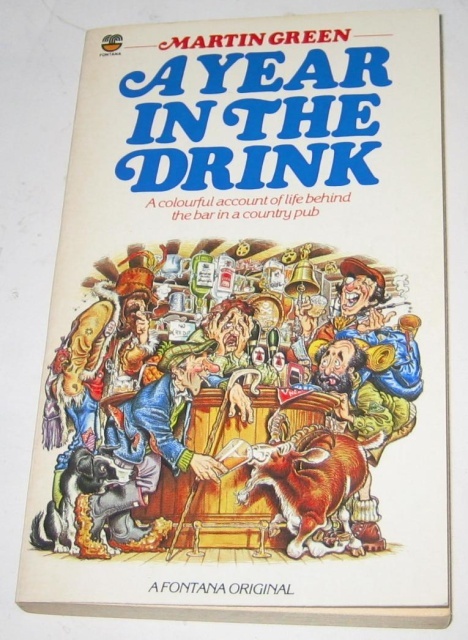 On the other hand, the book does portray an era when pubs were much busier and more numerous than they are now, and where you could see a wide cross-section of society coming in at different times through the day and rub shoulders with each other. All of the characters and the other pubs in the town are given fictional names, but I’m sure most would have been recognisable to locals and, given that some are portrayed in distinctly uncomplimentary terms, I wonder whether Martin Green ever received any negative feedback. I stayed in the Three Tuns soon after it opened and helped look after it while Martin and Judi were away in Cornwall. 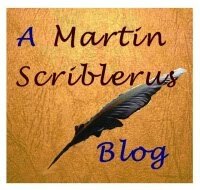 That was when I started to hear loud and unusual activity in the house after I'd gone to bed, in a sober state, unlike those who lingered after closing time who took time to finish their drinks. When M&J returned from Cornwall and asked how the week had been I told them about the unusual noises and they exchanged a knowing look with each other. I learned later and then read about the ghost experiences which were referred to in Year in the Drink but which in my mind had as much substance as the local people I had served at the bar who were portrayed and based on local characters. I wonder if of the subsequent landlords had any experiences like this since then? If the book was indeed pulped, then it's a bit of a rarity. There are a couple on eBay for around £50! Craft Beer: Evolution or Revolution?